Wow! 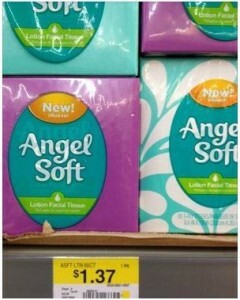 I did not know that Angel Soft even had Facial Tissues. Have you seen this NEW coupon?? As you can see, these are $1.37 at Walmart making them ONLY $.87 after coupon. This is NOT a bad price for stocking up on tissues. Please note: lots of back to school supply lists ask for tissues. So, grab this one while you can! Don't forget to Print Your Coupon.